Chapter 1 is done, chapter 2 is incredibly close to done, and chapter 3 is about halfway done or so. So expect this manga done shortly. After that, I’ll probably start working on other TMNT manga when not working on Mega Man or Club Nintendo. 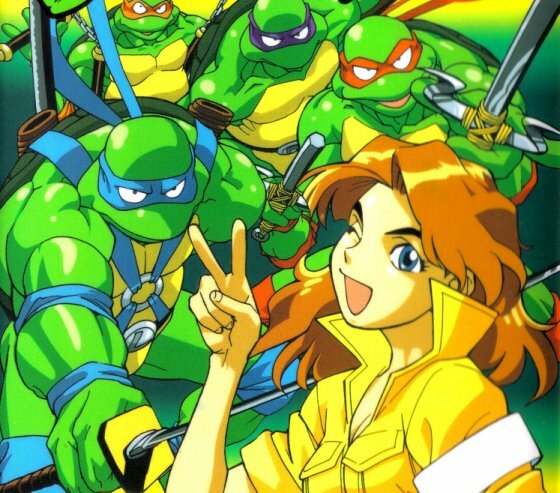 And yeah I know TMNT isn’t exactly “game related”, but c’mon now, TMNT has had a lot of kickass videogames, and a lot of not so good ones that are at least fun to talk about, so I say good enough. So great to see this project in full swing! I’m actually the guy who owns this volume and provided the raw scans, so it really brings me glee to be able to see Mark’s hard work in visually stunning presentation!